Move is the latest in a series that the country has made aimed at dealing with stronger hurricanes, more intense droughts and rising sea levels. Cuba has become the latest country to enshrine the fight against climate change in its constitution — provoking a mixed response from the scientific community. In late February voters approved a new constitution that included amendments directing Cuba to "promote the conservation of the environment and the fight against climate change, which threatens the survival of the human species". The country joins ten other nations, including Ecuador and Tunisia, that mention "climate" or "climate change" in their constitutions. Some researchers believe the additions are a positive sign of a growing worldwide impetus to combat extreme weather events. 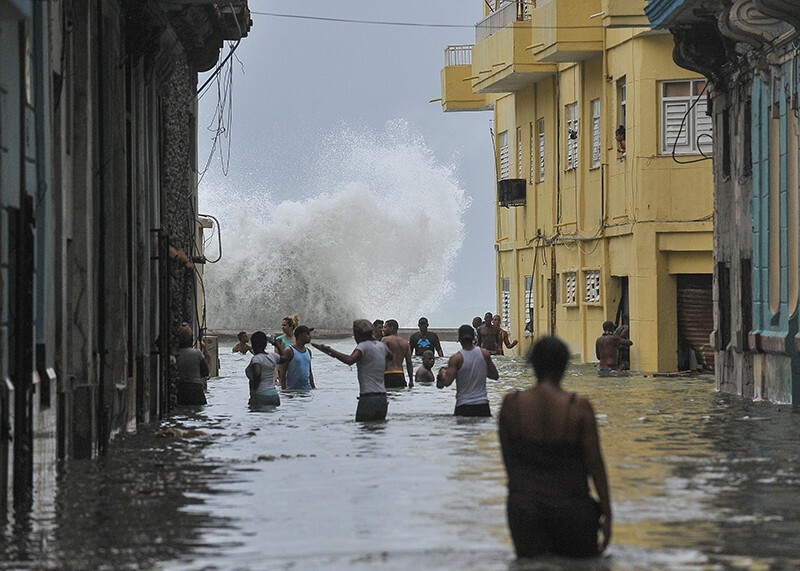 Cuba has already introduced aggressive policies to combat global warming, including a long-term plan to adapt to more destructive hurricanes, extreme droughts and sea level rise. But others doubt that the move will amount to meaningful action. Any plans by Cuba to reduce greenhouse-gas emissions will be a drop in the bucket for global carbon emissions, García says. Cuba was responsible for 0.1% of the world’s total carbon dioxide emissions in 2014; by contrast, the United States released about 15%, according to data gathered by the World Resources Institute, an environmental think-tank in Washington DC. Others say that the move is also political — a thumb in the eye of the United States, which has been reluctant to take meaningful measures to address climate change. It's not yet clear whether the development will change how climate research is conducted in Cuba. Juan Carlos Antuña Marrero, a physicist at the Camagüey Meteorological Center in Cuba, hopes that the amendments might translate into actions such as increased funding and the modernization of computer capabilities, but isn't sure if they will. Antuña Marrero's team studies sulfur aerosols, which help to cool the atmosphere. But Cuba's slow and unstable internet connection makes it difficult for them to stay up to date with the scientific literature. They've learned to download papers and data whenever they leave the country for conferences and workshops. Outdated equipment also means that Antuña Marrero and his colleagues have had to abandon research tools such as weather prediction models because their computers take too long — days or even months — to process data. “We’re a group of scientists trying to overcome the limitations of the country’s poverty,” says Antuña Marrero, who also collaborates with the University of Valladolid in Spain. "But our philosophy is to find solutions, not to complain." Cubans have much to lose if the planet keeps warming. The country has experienced intense droughts and increased sea-level rise in the past 50 years. And according to Cuba’s Institute of Meteorology in Havana, stronger, more frequent hurricanes have flooded cities, flattened cane fields and caused billions of dollars in damage. In response, Cuba has begun mapping areas at high risk for sea-level rise, moving its citizens out of those regions and razing their homes. This is the opposite of what often happens in the United States, where houses are rebuilt exactly where they once stood before being washed away by a storm, says David Guggenheim, a marine biologist at the environmental non-profit group Ocean Doctor in Washington DC. These efforts are part of Cuba’s 100-year plan, called Tarea Vida (Project Life) — a roadmap to guide the country in dealing with the effects of climate change. It includes a ban on new home construction in potential flood zones, the introduction of heat-tolerant crops to cushion food supplies from droughts and the restoration of Cuba’s sandy beaches to help protect against coastal erosion. The inclusion of climate change in the constitution is also helping Cuba to distinguish itself politically from its neighbour to the north, says Oliver Houck, a lawyer at Tulane University in New Orleans, Louisiana, who travelled to Cuba in the 1990s to help draft some of its environmental laws. The Cuban government, after all, “has no love for the United States”, he says.